I was very generously sent some samples of Ciate nail polishes by their PR company. Ciate have created a beautiful, wearable range of fashion nail polish colours, nail treatments, hand and foot care and accessories. Their philosophy is the be a leader, not a follower, and to always stay one step ahead. 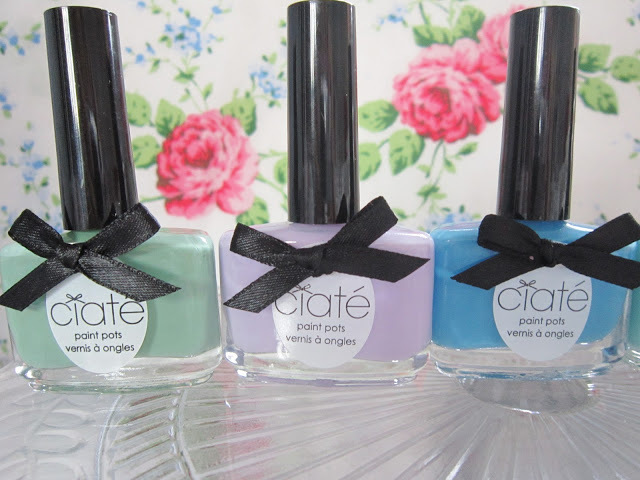 Ciate is a British nail brand, who is known famously worldwide for their innovative caviar manicure. Ciate stands for: Colour, Innovation, Aspiration, Trend, and Extraordinary. I chose the colours that I wanted to try, which were the following five: Strawberry Milkshake, Pepperminty, Holiday Blues, Sugar Plum, and Apple and Custard. Apple and Custard is a light green colour, perfect for floral leaf nail art. Sugar Plum is the most gorgeous lilac colour I’ve ever seen! Holiday Blues is a rich sky blue colour, very summery. Strawberry Milkshake is a pale pink colour, so sweet. And finally, their new shade, Pepperminty, is a deep minty green/blue colour. I love the design of the bottles, each bow adds such a cute feminine touch. The long handle helps to provide you with the best strokes, and the flat brush has 250 bristles that guarantees a flawless finish. The bottle is also a curved shape, which is designed to sit comfortably in your hand. 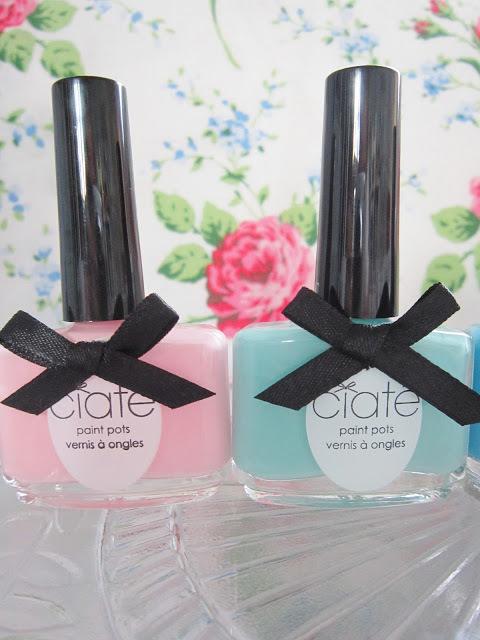 The formula of Ciate nail polishes is very pigmented, and it is available in a range of finishes. 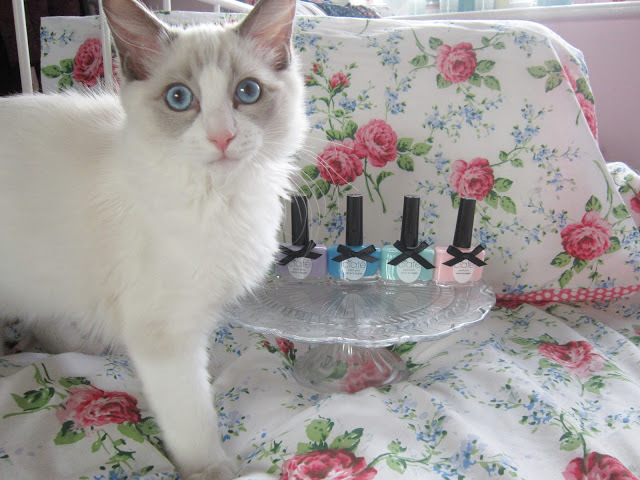 I have so far found the nail polishes to be long-lasting and the colours are just gorgeous! I will do a nail post soon. You can see their full range of colours on the Ciate website. Each paint pot retails for £9, and are available from their website, as well as ASOS, QVC and Selfridges. Merlin wanted to see what all the fuss was about too! 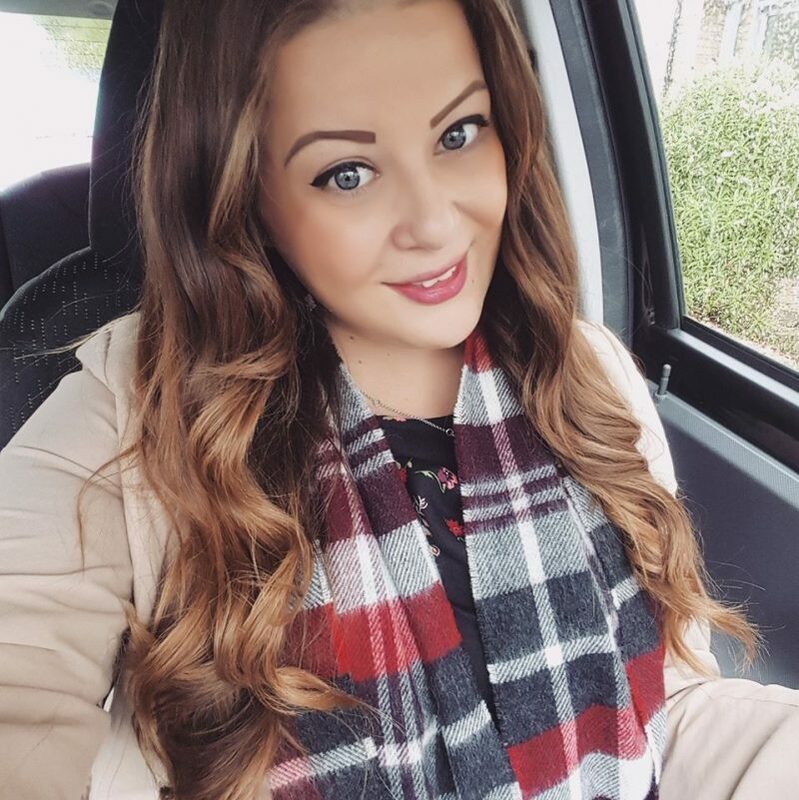 Previous Post Style Birmingham Live – 29th September – Blogger Meet? 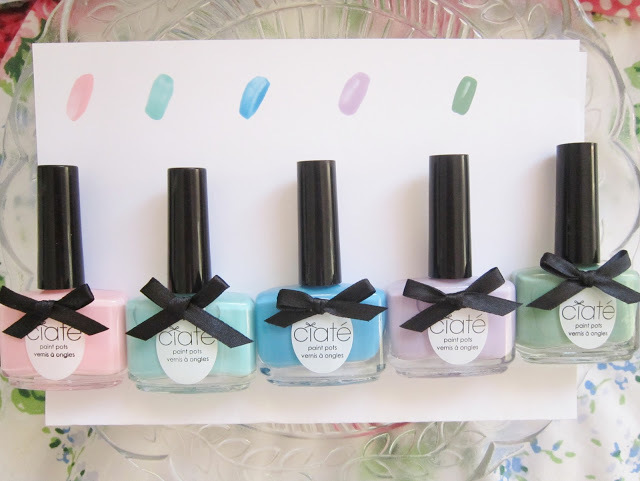 Ciate polishes are definitely on my wishlist for this month – especially Pepperminty! It looks such a gorgeous shade of green and the bottles are so cute and girly! They're such cute shades and lovely little pots! I love Ciate, their packaging especially is just so pretty. Great shade choices too, wisely choosen! I'd buy these just based on the names and the cute bottles…. These colours are gorgeous! I really like Ciate polishes and can't wait to see swatches of these. Random question, have you ever thought about doing youtube videos? It would be awesome to see your OOTDs and beauty reviews in video format! I do love Ciate polishes, I'm wearing them now. Pepperminty is goreous!